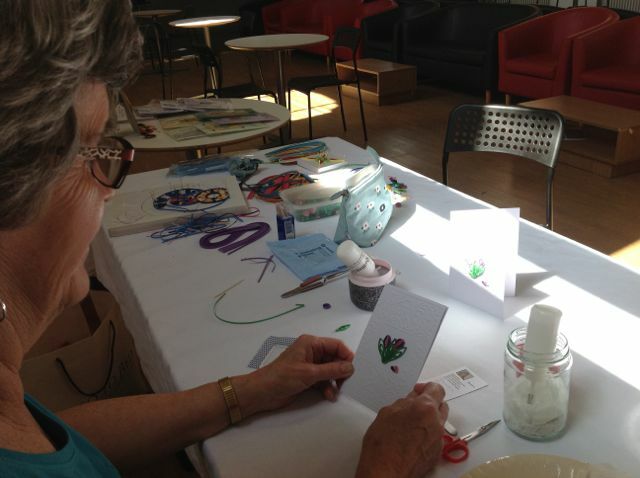 I have just returned from a memorable two week stay in Taunton, Somerset, where I had the privilege of being ‘Artist in Residence’ at the vibrant Creative Innovation Centre gallery in the town centre. 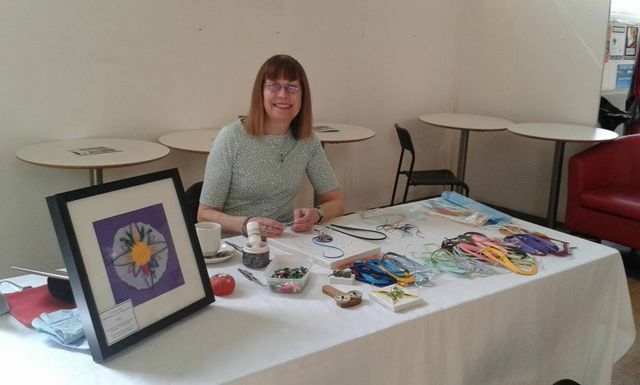 It was a wonderful opportunity to get a lot of quilling done and talk to visitors whilst doing it …and I also offered workshops at which visitors could come and learn the basics of paper filigree art. A rewarding experience indeed! At the beginning of my stay, I was interviewed on camera by a local film maker, Owen Nutkins, who is making a documentary entitled ‘The Art of Storytelling’. 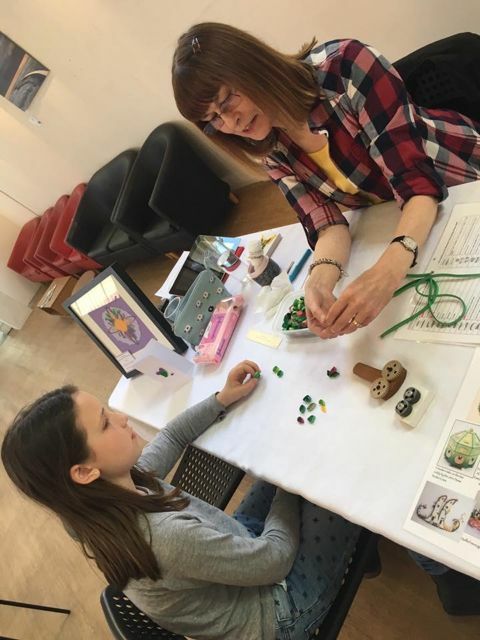 The focus of Owen’s film is to be an investigation into different ways in which artists tell stories through their creations using many different types of media, and it was a great pleasure for me to talk to him in this context about me and my quilling. Owen is going to select some of what I said and include it alongside other artists’ comments in his documentary, which will form part of a wider initiative called ‘What’s Your Story?’ on a website of the same name. 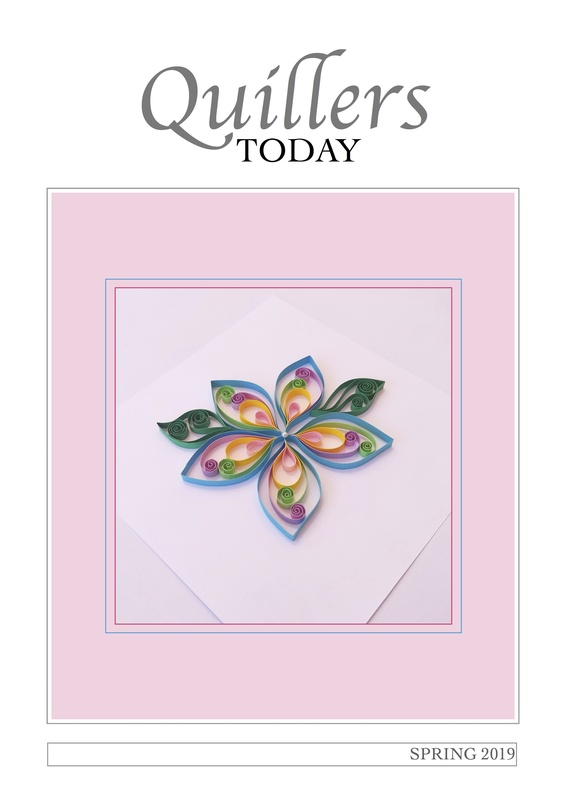 I hope you’ll agree with me that this is an exciting collaboration, and a great opportunity to spread the word about quilling as an art form. 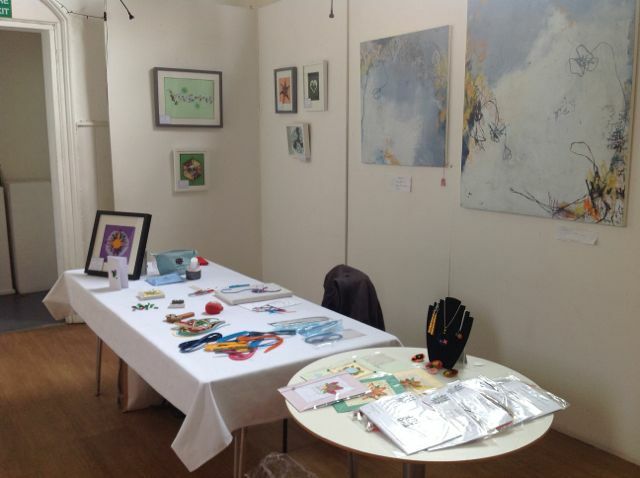 My quilled pictures can be seen displayed on the far left. One of the best things about the residency was that I got LOADS of quilling done! 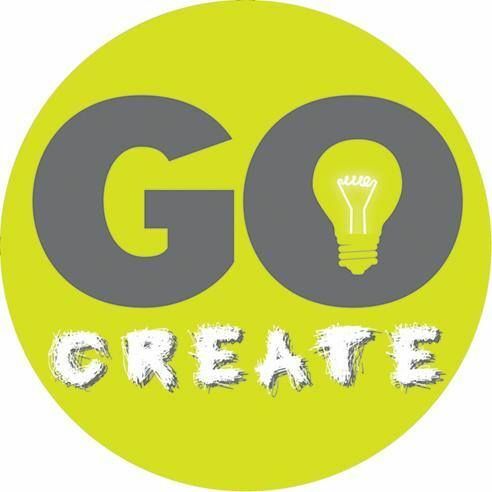 I took the opportunity to start work on a new project for a very special purpose: I’m creating an abstract piece which is going to appear on the front cover of a book that I have recently been commissioned to write – a comprehensive practical textbook on quilling techniques. If all goes to plan, the book should be published and available for purchase early in 2020 or maybe even sooner … watch this space! As you can imagine, I am very excited indeed about this new challenge, and will publish updates on my blog as the work progresses. Congratulations for that interesting interview! (and what a beautiful and peaceful place). I will love reading your next book.